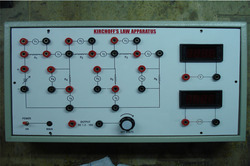 Providing you the best range of kvl/ kcl trainer, diac charaterstic apparatus, opamp trainer kit, op amp as series regulator, network theorems and amplifier characteristics apparatus with effective & timely delivery. 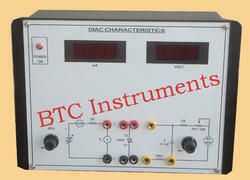 Objective : To study input Voltage -Current Characteristics of DIAC. 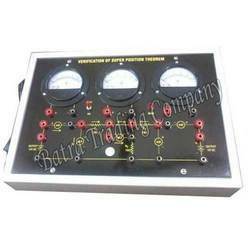 We are a notable company for offering Opamp Trainer Kit to our most valued clients. The offered product is strictly checked on every stage while preparing in order to ensure the finest functionality. 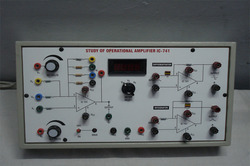 * Amplifier to provide an Output Voltage of 5 Volt. * Gain And The Maximum Power Dissipation Of The Transistor. 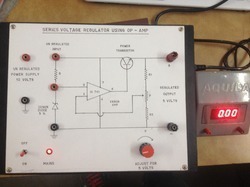 * Circuit Diagram Printed onboard. * Enclosed in an attractive ABS plastic cabinet. We offer our clients an optimum quality range of Network Theorems instrument which is manufactured using the best grade basic material and modern technology in synchronization with the set industry standards. 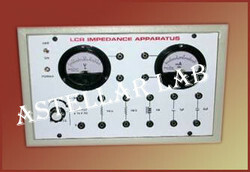 Owing to its premium quality and long working life, this instrument is widely demanded by our clients. Furthermore, to ensure the best quality, the provided instrument is stringently tested by our quality auditors against various quality parameters. 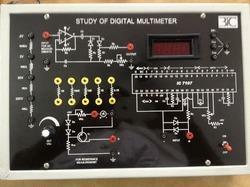 We are engaged in offering the best and outstanding quality Digital Multimeter Trainer to our precious patrons. It is assembled with the utilization of optimum quality components and progressive technology in adherence to the set industry standards. Keeping in mind the ever-evolving necessities of our precious clients, we are highly betrothed in providing an exclusive assortment of Digital Storage Oscilloscope. 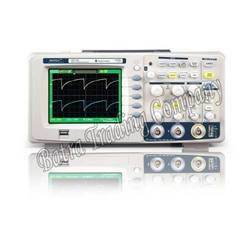 We are the leading organization in the industry to provide our clients the best quality range of Function Generator instrument. The provided instrument is manufactured by our skilled professionals using the best grade raw material and modern technology. Offered instrument is available in different technical specifications as per the requirements of our clients. 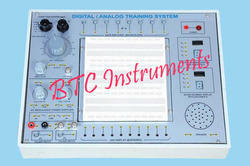 Further, our precious clients can avail this instrument at most affordable price. 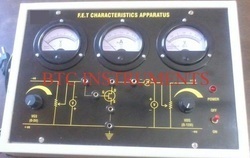 Looking for Electronics Characteristics Curve Apparatus ?